By design, bitcoin transactions take around 10 minutes for each transaction. This is because bitcoin transfer requires multiple confirmations through the mining process, which ranges from a few minutes to a half an hour. Despite this, a transaction is often irreversible once the initial transfer is digitized. Companies like CoinSafe, a free bitcoin ATM service, are pioneering ways to reduce the required transaction time to make the payment process less arduous. By monitoring mining machine nodes, they believe they can reduce the average wait time from 10 minutes to 10 seconds; this would surely be a great advantage to this bitcoin ATM (BTM) company. The tricky part is, that this would be exclusive to CoinSafe, so it could either make them the exclusive heir to the most efficient BTM processing, or alienate them due to lack of compatibility. It is likely that the former would occur, especially if it means 1/10th of the wait time. Be sure to keep up to date on transaction speed technology, because it will allow you to enlighten your investments and see where the future of BTC transactions is heading. Since BTC is not regulated by any centralized authority, there have been questions regarding the security of this cryptocurrency. Historically, there have been very few security breaches that have allowed fraudulent transactions. The ingenuity of bitcoins has made it a safe option in terms of avoiding cyber theft. Although, back in August of 2010 a loophole was found in the system which allowed some greedy users to bypass the inherent BTC transaction restrictions which allowed them to create an indefinite number of bitcoins. With a ravenous act of greed, Over 184 billion bitcoins were created in such a manner. Within that same day the blatant fraudulent transaction was detected and the fraudulent bitcoins were destroyed. The bug was fixed and an updated version of bitcoin protocol was implemented. This was the only major known glitch to hit the BTC market, and it was swept clean by the internet militia rather hastily. The infrastructure of bitcoin protocol is very secure, but the problem resides in the various wallets and services used for bitcoin transactions. This means it is imperative that you find the most secure programs and hardware to handle your precious BTC currency. If any security breach occurs, you can assume that it was some sort of deficiency in the program or your computer’s security. Examples of program breaches are rather numerous. Inputs.io was hacked twice for a total of 4,100 bitcoins worth around 1.2$ million USD at the time. The hackers infiltrated the system cloud-hosting provider and gained access to various funds. The hacker gained access to the site’s accounts on Linode through a series of old email accounts and reset the site’s account password. Mt. Gox also suffered immensely from internet hackers. They recently filed for bankruptcy protection after losing 468$ million USD worth of bitcoins to fraudulent transactions. Investigators believe the thieves took advantage of transaction malleability, which allowed them to modify the transaction to trick the system into thinking the transaction had not occurred, when in actuality, the BTC infrastructure had executed the transfer. After this breach, transactions were temporarily frozen, but efficient bitcoin exchanges such as Bitstamp and BTC-E resolved these issues shortly after the breach, and resumed operation with a few days. It was not just the BTC transfer and storage programs which suffered, Silk Road 2.0 suffered a loss of 2.7$ million USD worth of bitcoins from its escrow account. Because Silk Road is not necessarily accustomed to BTC security, they had no fail safe to prevent such a large theft from occurring. Although most bitcoin transactions are free of charge, one of the downsides to BTC transactions is that they sometimes do require a transaction fee. Fees often incur when transactions draw coins from many bitcoin addresses, which requires a large amount of data. For transactions like these, a small fee is usually expected. The transaction fee is received and process by the initial bitcoin miner who mined the given block. If you wish to avoid unwanted transaction fees, you should be fully knowledgeable of any potential fees that may incur on a transfer. Transaction cancellation is also a possibility if you are presented with an unexpected fee. 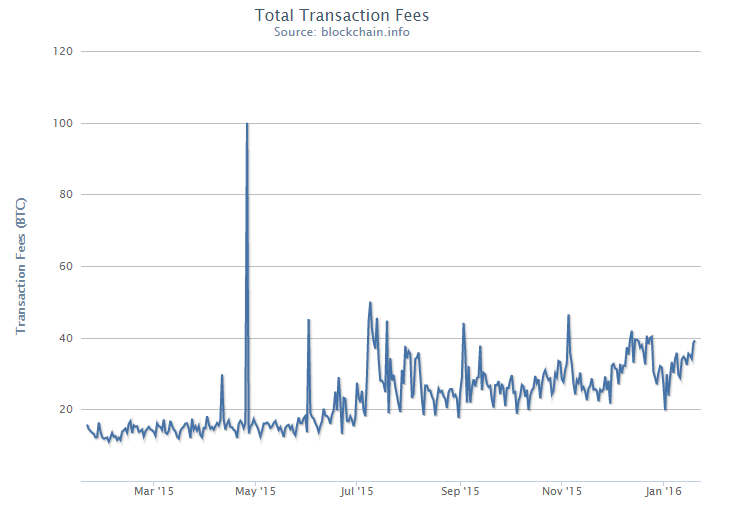 Considering that there are over 100’s of thousands of transactions occurring daily, these total transaction fees are nearly negligible. These fees are most common when accruing numerous amounts of small payouts such as when you are collecting BTC donations, affiliate revenue, or receiving small quantities of free bitcoins from various sources. There are many transaction options when it comes to transferring BTC. As the days go by, bitcoins are becoming more common and acceptable. This is ensuring their value as a currency. WARNING - PayPal: Easy for charge-backs, and the terms of service do not allow bitcoins. This makes fraudulent transactions very easy. Try to avoid PayPal for bitcoin transactions.